Published a couple of years back on SUPRacer I looked at why I race an inflatable and why it might be worth thinking about doing the same. For about 2 years I’ve stuck to my inflatable boards when it comes to racing, with both a Red Paddle Co 12’6” and 14’ in the boot. I’ve been lucky enough to race them at home in the UK, at the 11 Cities in Holland and at the Battle of the Paddle in California. So with lots of people asking me questions and making comments such as “imagine if you were on a hard board…” I thought I’d share my experiences of how much fun it is paddling an inflatable, and also put down some answers to my most frequently asked questions & comments. This has to be the first question I get asked especially from fellow racers, and the answer is: it depends. If we look at the hard boards out there, and if I was only allowed to use one as my race option, there would be times where it excelled and times where it didn’t. A flat water board would be great in a race like the 11 cities but might see me come unstuck in a 30 knot plus storm off the coast of Jersey. 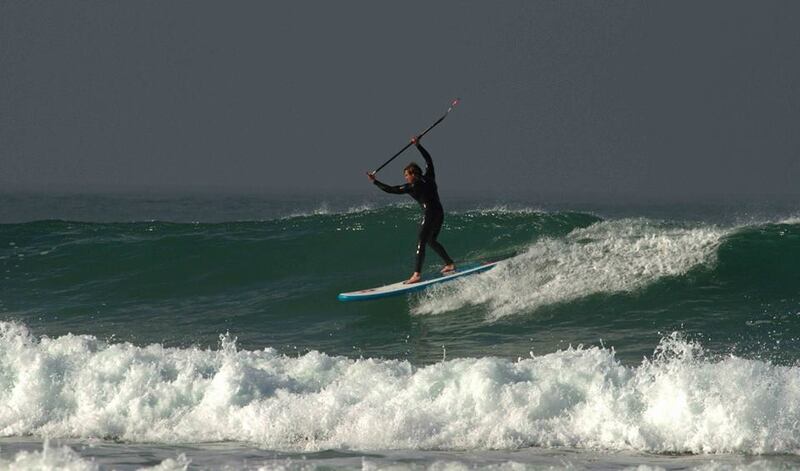 If I look at my Red Paddle Co inflatable boards, the shape works across a range of conditions. They are narrow enough to work in flat water, but forgiving enough to go out in some pretty testing surf. As they are inflatable they have plenty of tail volume but at the same time a narrow back end, so I can buoy turn without feeling that I’m dragging my opposition around the race course. The nature of the board being inflatable means you can pack a lot of board into a small outline. I weigh well over 80kgs (over 176 pounds), but I’m not ploughing my 12’6” through the water because the volume is there to support me, without the board having to be too wide. Easy answer: I probably do better on my inflatable in the wind, especially if the water is rough. This is where different boards from different manufacturers may take you to a different result. My best results to date were National Series Races in windy conditions, where both races were technical style courses where we paddled into a 20-30knot head/side wind, then came back down/across the wind before crossing the wind again to finish the lap. It was grim and at the same time pretty epic. As a surprise to me, and the rest of the fleet, I won the 14’ class in each of these races using my Red inflatable. Now I’d love to say it was down to me being the superior athlete but unfortunately it definitely wasn’t. In short, my board let me take more effective strokes during the race than my competitors. Why? The rails are a little rounder than a hard board and so it doesn’t trip as much in chop. It’s got plenty of volume so doesn’t swamp, it rides over rather than simply through, and you can stand further back without ruining your trim. It feels more comfortable in the rough stuff allowing you to do what you should be doing and sticking your blade in. 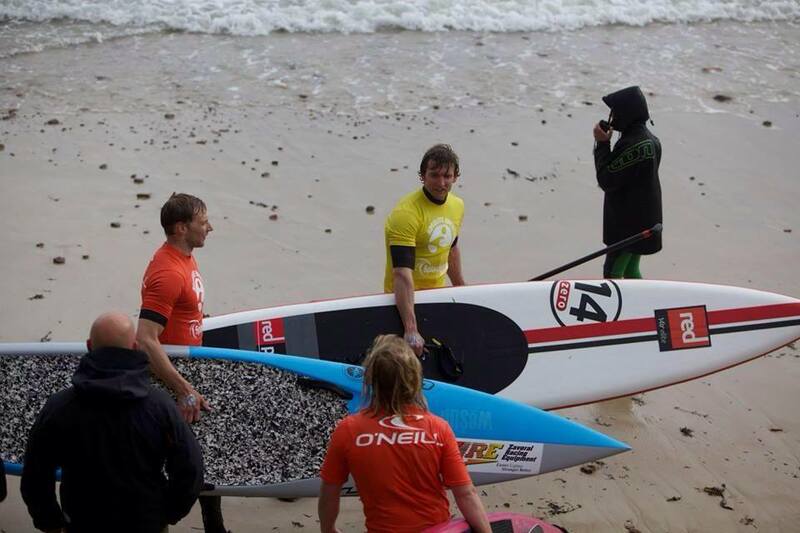 You still see the odd ‘lilo’ out there, but when conditions get messy I’d be reaching for my iSUP. It depends on how long you take pumping it up, or rather: how much you pump it up. I race with my board at 22-25 psi or more, anything less just doesn’t cut it. That level of psi isn’t possible in many of the cheap inflatables, however it is possible with high quality gear, especially Red’s new very stiff (yet very light) boards that feature MSL technology. The two boards I race with have the additional benefit of the rocker stiffening system down the side which further improves the stiffness, but if you want to make the most of your waterline, and ensure that the strokes you take are having the desired effect, then pressure (psi) is king. Class racing is great, whether it be hard boards or inflatables. 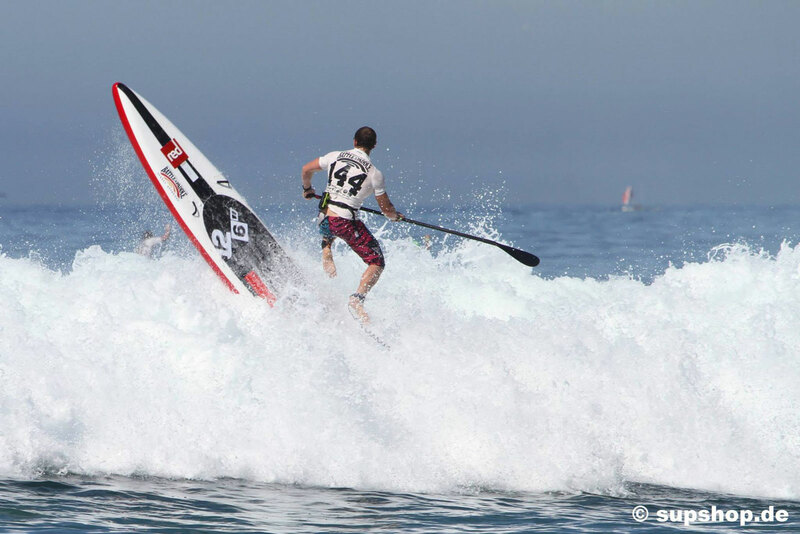 You wouldn’t want to be standing on the start line on your 12’6” against a bunch of 14 footers, no matter what type of construction board you were paddling. There are brands like Naish who run the N1SCO series and are giving people the opportunity to go head to head where the cheque book doesn’t matter. Though the main problem with one design is what if that one specific design doesn’t fit you… If a board is too wide or too narrow, effectively you’ll end up disadvantaged. 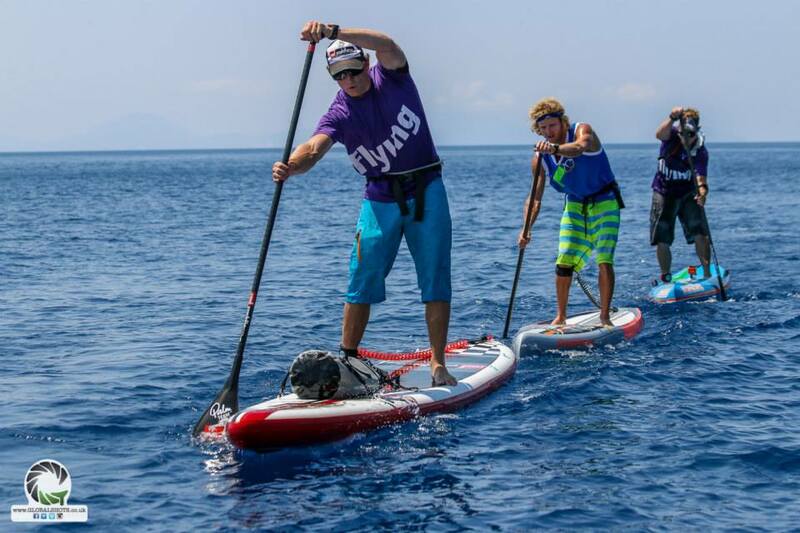 Also it’s not like we turn up at races and separate out the ultra light carbon boards from the heavier boards, or fast new designs from the older ones (maybe we should?). So racing on inflatables only is kind of a moot point, as all boards are different in some way. I think there would, however, be a great advantage to more people racing on inflatables, as it would allow recognition of different battles within the fleet. In big events you’d get to see a whole different set of competitors on a podium and get their recognition. However the nice thing about being on the inflatable and racing against traditional boards is the lack of expectation. If you have a good race then people think you did an amazing job; if you have a shocker then it gets blamed on the board, not you. I feel like us inflatable paddlers are in this honeymoon phase of ‘can’t lose’ when we’re racing, though I also believe it’s coming to an end as more and more people realise that these boards might well be the most viable option, and that they’re becoming very competitive against the carbon boards. Why not both? For the price of a carbon board you could get both a 12’6” and a 14’ inflatable, and probably still have change to upgrade your paddle. The 12’6” will take as much weight as you need it to, it’s just a matter of choosing the right width. This is one of the reasons I ended up with my Red Paddle Co boards. I used to have 14’ Carbon board but it was too specialist. I’d turn up to races where I’d ideally want to race 12’6” or the conditions weren’t ideal for my bit of kit. Also living in an apartment, the board had to stay outside on top of my van, which wasn’t the most secure storage option. Obviously the security question isn’t a problem with inflatables (same goes for checking your board in at the airport…). The nice thing about my boards now is that they are what I spend all my time on, no matter where I travel or what conditions I train or race in. I’m very familiar with my equipment. I can also lend them out, ram them up the beach, accidentally back over them with the van, or forget to tie them on the roof in the car park without destroying the board. So it might be that you fully convert to the blow up or just get an inflatable that’s a different size to the hard board you currently have as an alternative, so that you have more racing and training options. Whatever you do, I really believe every racer should have one in their arsenal. 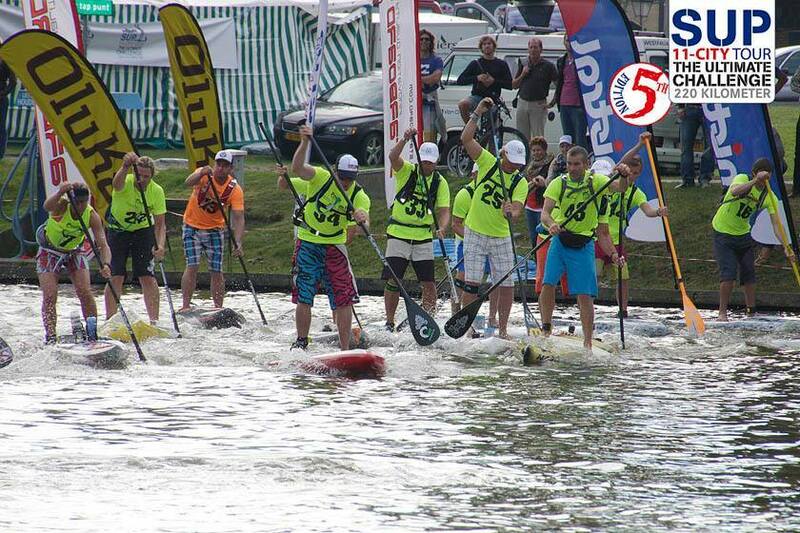 Massive thanks to Palm, Suunto, Hey Dude Shoes and Red Paddle Co for the awesome gear and support over the last year.